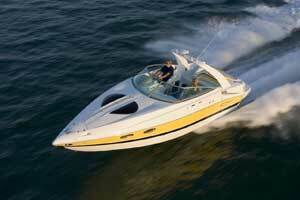 New model blends luxury and performance. 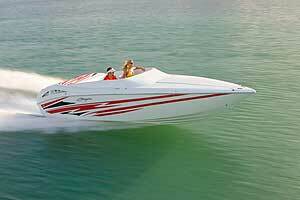 The 315 boasts sleek lines, superior handling and trademark Baja technology. 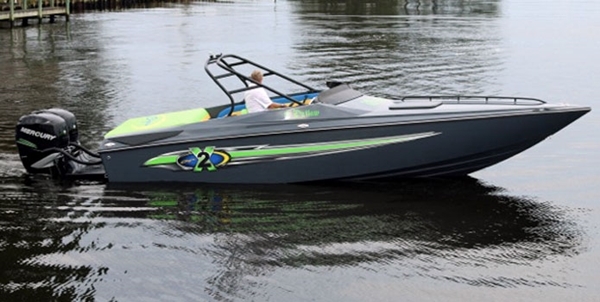 BUCYRUS, Ohio: Baja Marine introduces the brand new 315 Performance for 2008. 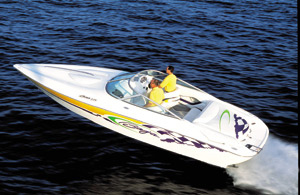 According to a press release from the company, the mid-sized model combines the luxury of a cruiser with the performance of a sport boat. 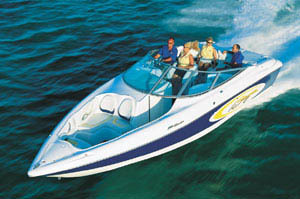 The 315 boasts sleek lines, superior handling and trademark Baja technology. Inspired by the amenities and aesthetics of the 405 Performance, the 315 features a walk-through transom, add-on swim platform, split throttle controls, optional generator, radar arch, and a generous cabin height. Function, however, is not sacrificed in the name of refined form - the 315's wider beam paired with its 24-degree deadrise hull provides superior handling. 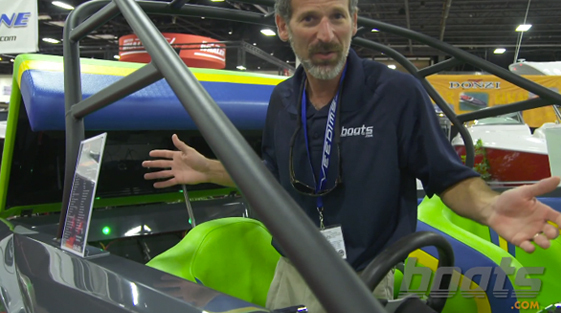 "We pushed the bounds of both style and performance," said J.R. Jenney, Baja's director of sales, in the press release. "We wanted the 315 Performance to continue in the 405's direction in terms of comfort and style while maintaining that signature Baja handling and speed." The 315, which accommodates eight passengers in its cockpit, can sleep three. 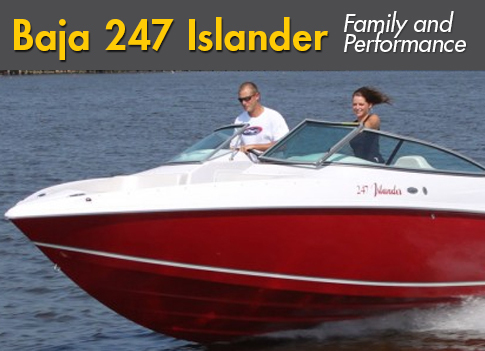 Numerous cupholders, L-shaped rear bench seating and cockpit cooler make the 315 the ultimate entertaining boat. Space in the cabin has been increased by adding overhead deck braces that eliminate bulkheads, and the roomier head makes lengthy trips even more comfortable. Driver-friendly amenities also abound, from a new heavy-duty windshield that increases visibility and durability to larger water and waste holding tanks that extend time on the water. 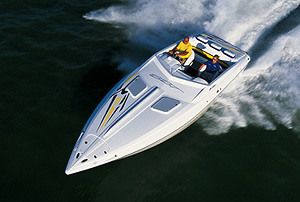 To learn more about the new 315 Performance and the rest of Baja's full-throttle line-up, please visit www.bajamarine.com. 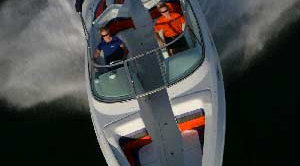 Editor's Note: Look for a review of the 315 Performance in an upcoming issue of Powerboat magazine, as well as on boats.com, this summer.